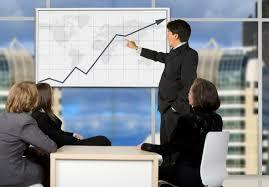 At some stage of its life a business must hire an experienced and effective Finance Director (FD). Finance and figures are not easiest skills to learn for all entrepreneurs or non financial managers. Whether you’re the business owner or the CEO, you need a reliable person to run the finances of the company and get on well with all. 1. Strategy – can the FD articulate the business model in a few words, how and why it works and also what changes may be needed to improve it? 2. Leadership – have they lead a team before and can they influence their senior colleagues on what path the business should take? How can they acquire further skills to develop their potential? 3. Adding value – can they add value to the business by redirecting activities and how much time have they spent in doing so previously? 4. Commercial awareness – do they know the key competitors and what they may have done recently to affect your business? 5. Change management – what key changes can they make to the finance function and the business to make the company more competitive? 6. Technology – how tech savvy are they and have they invested into IT to benefit the finance function and the business? 7. Risk management – do they understand the key risks facing the business and the industry sector? 8. Communication – can they communicate and negotiate effectively with their colleagues, staff, external investors and can they develop these skills further? Most FDs’ may not have all these skills developed to the same level but the willingness to learn new skills is as much a skill as those described above. A FD will have many qualities but just being good at figures is no longer good enough. A modern strategy oriented Finance Director must have these skills and more to help lead the business and be the CEO’s right hand person.